The trick is to put the pan in a cold oven. 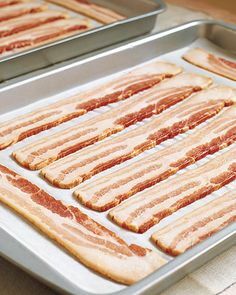 Cover the cookie sheet with aluminum foil and add the bacon. Heat oven at 375 and set your timer for 20 minutes. The lower the temperature is and the slower it cooks, the less chance there is at getting grease splattered on you and on your oven. This works perfect!